Tracing back the trajectory of Brazilian Workers’ Party (Partido dos Trabalhadores - PT), Hernán F. Gómez Bruera explores how holding national executive public office contributed decisively to a pragmatic shift away from the party’s radical redistributive and participatory platform, earning the approbation of international audiences and criticisms of domestic progressives. He explains why a unique party, which originally promoted a radical progressive agenda of socio-economic redistribution and participatory democracy, eventually adopted an orthodox economic policy, formed legislative alliances with conservative parties, altered its relationship with social movements and relegated the participatory agenda to de sidelines. Touching on multiple dimensions, from economic policy and land reform to social policy, this book offers a distinct explanation as to why progressive parties of mass-based origin shift to the center over time and alter their relationships with their allies in civil society. 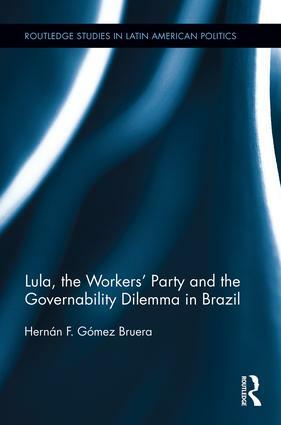 Written in a clear and accessible style and featuring an enormous wealth of firsthand accounts from party leaders at all levels and within different factions, Gómez Bruera offers much needed new insights into why progressive parties alter their discourses and strategies when they occupy executive public office.